In their efforts to provide distance learners with the most effective services possible, librarians and information specialists are working more and more with faculty in academic departments, IT departments, and other librarians at cooperating institutions. 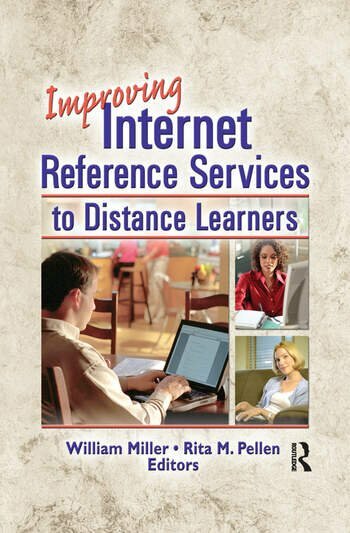 Improving Internet Reference Services to Distance Learners chronicles how those efforts have seen librarians become actively involved in online course management and delivery systems, particularly Blackboard, Desire2Learn, and WebCT, or by embedding themselves into the online course structure to better learn where students need assistance. This invaluable resource also examines how librarians use Internet resources to support professional and continuing education and to establish university-wide information and referral services to provide quality service to distance learners. Improving Internet Reference Services to Distance Learners encourages librarians to think more broadly about working with outside individuals when designing and providing reference and other services to nontraditional users. The book examines why it’s best to consider user needs, funding, staff management, and collaboration development when planning Internet reference services, how to develop and implement a required, credit-bearing online information literacy course, and how to apply effective marketing techniques from the business world to increase awareness of reference support services available to distance learners. It also offers a look at the Walden University Library at Indiana University-Bloomington, which houses no print collectiononly online databasesand includes case studies that document the design and development of Internet reference services for the University of Illinois’ Fire Service Institute, and the efforts to provide support for doctor of pharmacy students at the University of Wisconsin-Madison in their final year of study. Improving Internet Reference Services to Distance Learners is an invaluable resource for librarians working in academic, school, special, and public settings, and for library science faculty and students.